Vishnu Durga is a form of Goddess Durga and is considered as the sister of Lord Krishna. The iconography of the Goddess includes conch and disc. 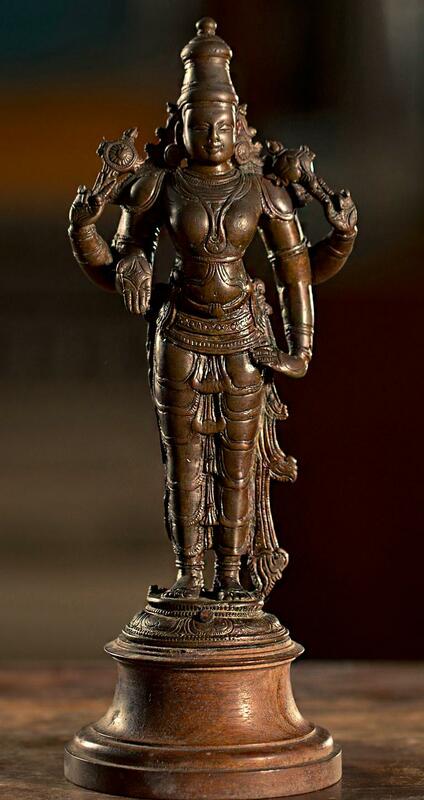 An imposing figure of Vishnu Durga with four-hands standing on a wooden pedestal. The upper hand of the image carries the shank and chakra. The lower hand is in varada mudra.